Just yesterday we told you about Watch Dogs system requirements, which appeared on Steam, and already today we would like to share the minimal and the recommended system requirements of another interesting upcoming game - Middle-earth: Shadow of Mordor. But be attentive, please, they are almost the same as Watch Dogs ones. OS: Vista, Windows 7, Windows 8 (only 64-bit). CPU: Intel Core i5-750, 2.67GHz or AMD Phenom II X4 965, 3.4GHz. Graphics: NVIDIA GeForce GTX 560 or AMD Radeon HD 6950. The broadband Internet connection is also required. As for the recommended requirements of Middle-earth: Shadow of Mordor, they are, as you may know, much higher in many characteristics. Thus, this action-RPG will require CPU Intel Core i7-3770 with 3.4GHz or AMD FX-8350 with 4.0GHz, and RAM on your PC shouldn’t be less than 8GB. As for supported video cards, there are two of them - NVIDIA GeForce GTX 670 or HD 7970 series of AMD Radeon. Also you will need to have 40GB of available space on your hard drive. 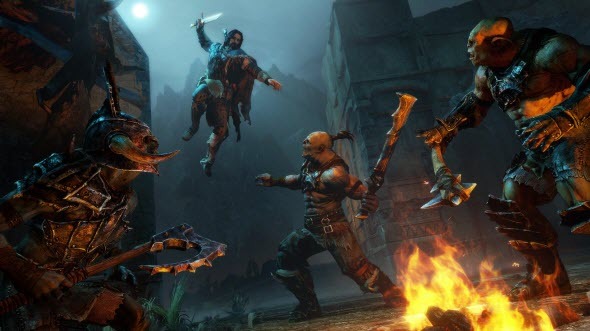 And what do you think about these Middle-earth: Shadow of Mordor system requirements? Does your PC meet them? Your answers are always welcomed at the bottom of the page.